Please note that I use fever tree ginger ale in my cocktails, almost exclusively, so it may taste different to what I intended if you use other brands (just tweak it a little to better compliment the brand you use). Created in a top secret laboratory hidden away in an underground bunker, this cocktail has been slowly tweaked and re-tweaked for months. Like a strain of the cold virus, no two versions have ever been the same. Until today. This cocktail has finally come to fruition and the depth in flavour is superb when compared to other similar mixtures. Its moderately simple combination of Jack Daniels Tennessee whisky, apple juice, lime juice, our in-house cranberry simple syrup, and a top of ginger ale, results in a well-balanced yet slightly sweet cocktail that should take the bite out of the whisky whilst keeping all of the flavours intact. The joy of this cocktail is, of course, its depth in flavour. Using an in house cranberry syrup recipe we can control the flavour balance that is integral to the core of this drink. Thus the measurements are strict in that this recipe relies on the delicate balance between sweet and dry. This cocktail is perfect for your new year celebrations but also for almost any other special occasion. Just bear in mind that the use of cranberries may restrict this to being a more seasonal tipple. Tweak note: The Ginger ale can of course be substituted for a lighter flavoured soda although please be aware that doing so can impair the intended flavour profiles. Combine the all of the ingredients, except for the ginger ale, in an ice-filled cocktail shaker. Shake until well-chilled or until the tin ices over. Around 15-30 seconds. 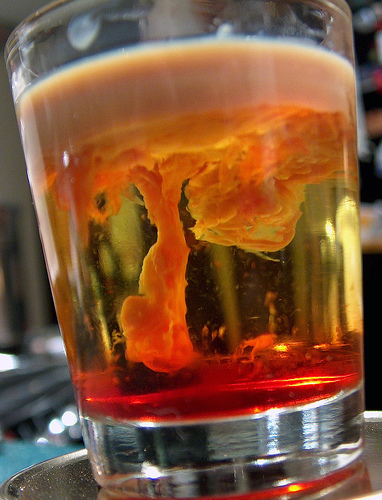 Strain into a glass filled with crushed ice until ¾ full. Top up with the ginger ale and garnish with a skewer of fresh/frozen cranberries. This was a really fun and interesting gift to create and put together and should be something you can all emulate for your friends and family! Disclaimer: All of the pictures used across the previous four posts i’ve shared with you (links below) are from the Official Jack Daniels website and when you’re done here, why not check out their other recipes for a little inspiration? Please note: this post is in no way endorsed or supported in any way by Jack Daniels or any of their affiliates. This is all my own thoughts and words people! Go me! The fourth cocktail in the Jack Daniels through the seasons is a Winter themed special. You’ve all tried the Lynchburg Lemonade served at your local weatherspoons right? It’s a cocktail so easy to make and so refreshing that a lot of cocktail bars/pubs will serve it throughout the summer. Perfect for the winter months, especially the colder ones, this cocktail is a simple yet highly effective concoction suitable for most affluent drinkers. The cider can be of any type but stick to your favourite or research which types work best with which types of whisky. This recipe is best followed by utilising your favourite hot cider mixture – if only so you know what to expect from the cider itself. The cinnamon and lemon are purely for aesthetics and fragrance, although given enough time they’re sure to add their own imprints to the mix. Simple build in a mug (or coffee glass). Garnish with the cinnamon stick and lime slice. The third cocktail in the Jack Daniels through the seasons is, of course, autumn. A classic sour cocktail is as simple as it can get: Spirit + Lemon Juice + Simple Syrup + Shake = Sour Cocktail. The spirit used can be anything from Vodka or Rum to Melon Liqueur or Limoncello (and everything in between). When it comes to the New York Sour the classic whisky sour was taken, added to and sold on as an improvement, so to speak. Some see confusion and a strange muddle, whilst others see the genius in adding further depth of flavour. It’s an odd idea for sure, but once you’ve tried a whisky sour with the wine topper, no whisky sour without it will ever taste the same! Arguably the most versatile aspect of this drink is its ability for tweaking where needed. When using different types of whisky (Scotch, Tennessee, Rye, Bourbon etc.) you can use different types of red wines to compliment the whisky and get the most out of the cocktail. Combine the Jack Daniels with the lemon juice, sugar syrup, and ice. So continuing with the Jack Daniels Through the seasons cocktails we’re now onto summer! Yes, it might be a tad pre-mature to start thinking about summery cocktails but the weather here in the UK is on its way down. Into the –OC – shock, horror! This cocktail is slightly different to the others on this list as it contains some extremely seasonal fruit. Like the fruit this drink uses, it can vary in taste year to year. This makes it an extremely difficult drink to create year-to-year. There’s always someone who preferred last year’s slightly different taste. The best way to make this drink is to use the best quality peaches you have available and then tweak the already small amounts of Cointreau, simple syrup and lemon juice to taste. The beauty of this drink, really, is in its ability to be tweaked year upon year and yet still resemble that of the original concoction. The thyme sprig garnish simply adds a final flourish and an air of savoury fragrance about this already stunning summer cocktail. Muddle peaches with the simple syrup in a mixing glass. Add in the Cointreau, lemon juice and Jack Daniels and fill glass with ice. Shake vigorously until the tin ices over. Fill a mason glass with crushed ice. Strain mixture into the mason glass and garnish with the thyme. I recently worked on a gift for a couple of friends who love their Jack Daniels. It was a simple collection of cocktails, presented in menu form and then a collection of recipe cards to help them through the creation process. These cocktails were set out in a specific way: 1 cocktail for each season of the year and then one extra cocktail especially for new year’s. The latter one being a cocktail of my own creation! The seasonal cocktail were simply taken from the Jack Daniels official website (it’s hard enough coming up with 1 brand new recipe, and perfecting that – let alone another 4 as well!). And the menu + Recipe cards. This was a small collection of things to make a nice little hamper. A surprisingly refreshing combination of Jack Daniels, Cranberry Juice, Orange Juice and Tonic water; this cocktail is simple to create yet easy to get wrong. The balance between sweet and dry is so perfectly poised that the slightest deviation threatens to completely sink this titanic cocktail. Jack Daniels is a perfect example of American freedom in that The whisky is simple unique in nature. This cocktail appreciates that fact and aims to elevate the spirits’ natural flavours and pepper them with various levels of sweetness. The sweetness is tapered somewhat by the tonic water but the drink in its entirety is one to really get you excited about a summer that is, very nearly, right around the corner! Using a blender combine all of the ingredients, except the tonic water, and blitz until the right consistency (try for a slushie-style consistency). Pour into a chilled rocks glass until ¾ full. Top with tonic water and garnish with a cranberry skewer or cherry (with stem). Halloween is right around the corner, it’s Thursday in fact, and the best way to celebrate any such event is exactly how the Mexicans do: with a party. 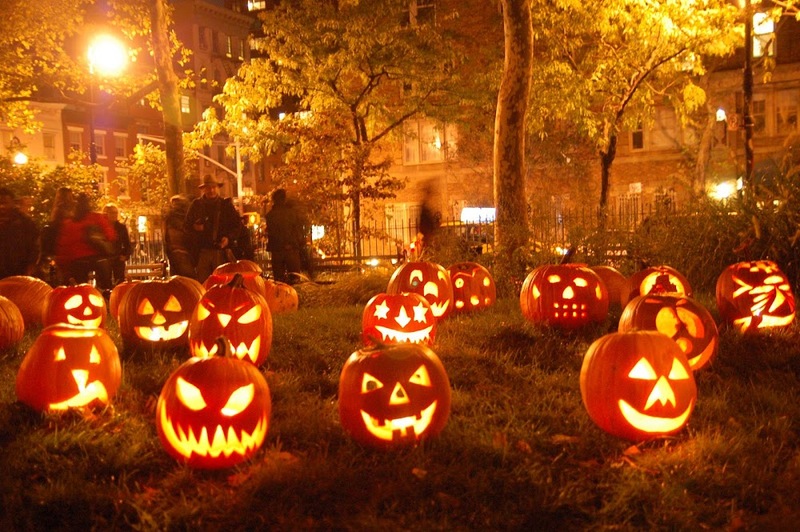 Halloween is coveted by many different cultures across the world, not just here in the UK or over the water in the USA but under different names it is celebrated across more than 30 countries across the planet. This cocktail is a twist on a Martini and probably one of the most elegant cocktails you’ll ever see/make/taste. 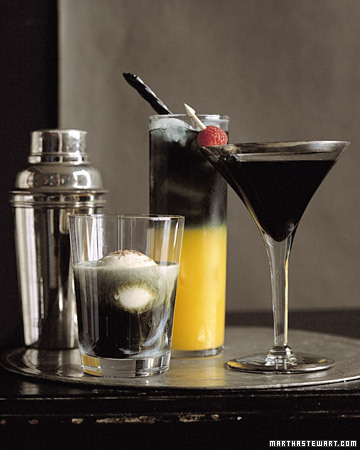 – Combine in a mixing glass, fill with cracked ice and stir well, until the drink is chilled. – lace the glass with the oils of 2 orange peels. – Then pour the mixture into a chilled cocktail glass and flame an orange peel over the glass and place it in the drink.